A series of posters have appeared across London in "celebration" of a "Brexit collaboration" between Russia and the UK. 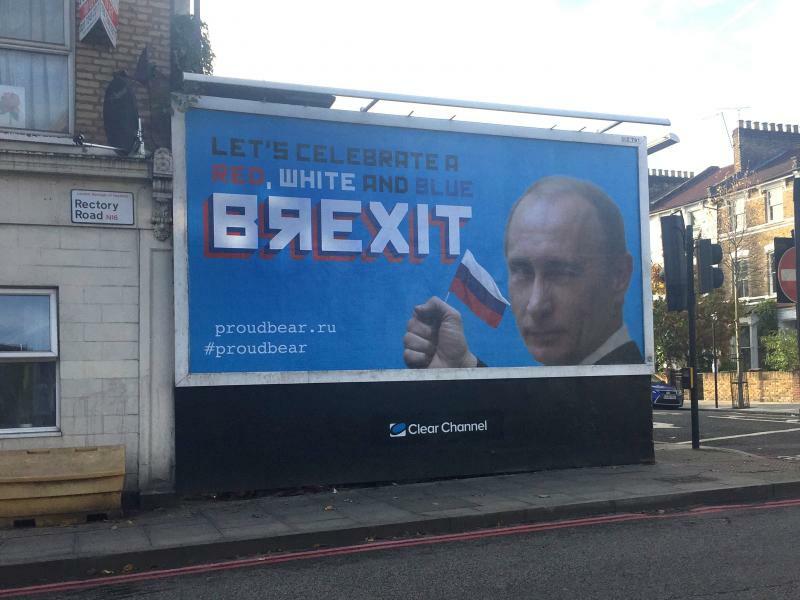 One billboard, spotted in north London shows a winking Vladimir Putin with the words: "Let's celebrate a red, white and blue Brexit". Another, seen in east London, depicts former foreign secretary Boris Johnson suspended from a zip wire holding Russian flags, along with the caption: "Thank you! Boris".